Beaulieu Yarns introduces sustainable yarns for sustainable contract, residential and automotive carpet markets at Domotex 2019. Beaulieu Yarns, a division of Beaulieu Engineered Products, reinforces its strong support for best performance and CO2 emission reduction for tufted carpets with its new and extended innovative product ranged at Domotex 2019. 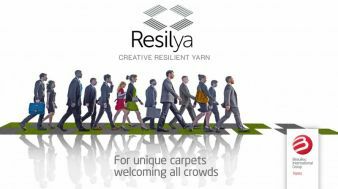 Launched at Domotex, the new Resilya yarn family answers the need for a new level of durability, quality and originality in design from the contract market. The yarns combine the industry’s highest resilience with unique colour and design capabilities for all kinds of contract carpet constructions. The extra level of resilience supports the attainment of highest classification for particularly durable, and therefore longer-life, trend setting contract carpet for the heaviest applications. These include commercial offices, hospitality and leisure, and education and healthcare premises. These EqoBalance PA6 yarns follow the biomass balance approach, which ensures that at the very start of the supply chain, natural renewable raw materials replace fossil resources in the production of polymers processed into yarns. These yarns offer the carpet manufacturer an important advantage, as their manufacturing process does not need to alter. Eqobalance are PA yarns and so fully recyclable and fit circular economy for the high-end contracts and premium automotive segments. By choosing these yarns, which benefit from a new and specific Environment Product Declaration (EPD) statement, carpet manufacturers can contribute to a sustainable future through a reduction of emissions of up to 75% of CO2 eq/kg compared to fossil based yarns. Beaulieu Yarns unveils a new broader range of the uniquely soft and durable Softitude Solution Dyed Nylon (SDN) yarns for residential and hospitality broadloom carpets. The extended portfolio enables carpet manufacturers to achieve comfort, luxury and an inviting warm touch, without compromising on long-term wear and tear resistance. 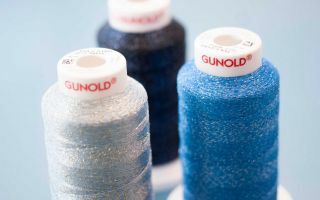 The range offers extensive unique colour possibilities through uni- or multi-colour yarns and various luster-levels from bright to semi-bright to dull. Yarns are available in 2400, 2800, and 3200 dTex for looppile and cutpile carpets. “Beaulieu Yarns’ intimate, custom-driven support gives us a deep understanding of the challenges faced by carpet manufacturers. Sustainability is a significant consideration, and we look to encourage our customers’ efforts by helping them to create more durable carpets and to reduce their CO2 emissions. At the same time, we put a lot of emphasis on working together to expand their design creativity through our in-house masterbatch colour experts. We are excited to be introducing products to the markets that unite these priorities, to lower the carbon footprint of trend-focused finished carpets”. Beaulieu Yarns is an independent entity within the Belgian family-owned business Beaulieu International Group and part of its Engineered Products Business Unit. It is a leading manufacturer of polyamide (PA) and polypropylene (PP) yarns for contract, automotive, residential and technical applications. Its products are supplied in the form of bulk continuous filament (BCF) and ennobled yarn (twist, heatset and frisé). Beaulieu Yarns distinguishes itself with an entrepreneurial yet simultaneously warm-hearted partnership approach, inspired by an open, SME culture, to create a wide range of high-quality yarns and related services that are often developed in close collaboration with customers and always with due respect to man and nature. 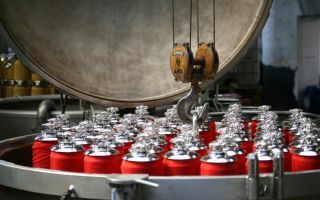 Beaulieu Yarns has two production sites in Europe – one in Belgium, one in France – and one production site in China. Beaulieu International Group is a well-respected industrial group with headquarters in Belgium. It holds an important market position both in the production of raw materials and intermediate goods, and the supply of perfectly finished floorcoverings. Beaulieu International Group is composed of three business units. ‘Flooring Solutions’, is a worldwide leader in wall-to-wall floorcoverings (carpet, needle felt, artificial grass, cushion vinyl, vinyl planks, laminate, parquet, wall panels and mats). A second business Unit, 'Polymers', produces polypropylene granules for numerous applications. The third business unit ‘Engineered Products’, houses the activities related to ‘Fibres’, ‘Yarns’, ‘Technical Textiles’ and ‘Technical Sheets’. Another division of Beaulieu International Group is specialized in the development and production of quality upholstery fabrics for the sofa industry. Beaulieu International Group has more than 5,000 employees in 27 plants, 16 representative offices and distribution centres spread across 16 countries. In 2017, the combined turnover was close to €2 billion. 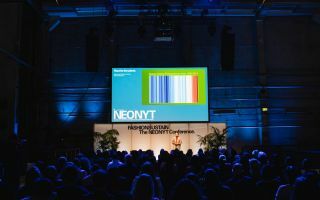 The Beaulieu International Group's entrepreneurial spirit and innovative ambitions make it the model of diversity and evolution within the sector. They allow it to create added value sustainably for customers, employees, suppliers, shareholders and for the society in which it operates.